"Grandfather, we can do something, can't we?" The Doctor & Susan shelter in the overflow pipe avoiding the water and climb up through the plug to be reunited with Ian & Barbara. 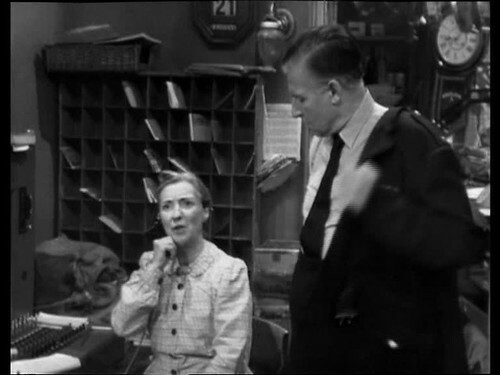 Forrester calls the phone exchange, speaking to operator Hilda Rowse, to make a call to Whitehall. He imitates Farrow's voice and tells the Ministry that DN6 is good stuff, but Hilda is suspicious as she doesn't think it's Farrow on the phone. The travellers find the formula for DN6 and realises the dangers involved if it was used and got into the food chain. Barbara isn't feeling well. The travellers plan to make use of the phone and go to a great deal of trouble to lift the receiver. The phone rings at the exchange but Hilda can't hear them at the other end. Barbara collapses: she touched the insecticide and has been overcome. The Doctor is confident that Barbara will recover if they return to the ship so she can be treated. Forrester is irritated the phone isn't working, Smithers thinks the one in the lab may be off the hook and leaves to reset it and look at Farrow's notes. When the receiver is replaced Hilda rings on the pretext of putting a call through. Now certain that Farrow isn't the man on the phone she sends her Husband PC Bert Rowse to investigate. The travellers decide to start a fire to attract the attention of the authorities using matches & a Bunsen burner gas tap. Smithers realkises how deadly DN6 is and rebels against Forrester. The gas tap projects it's flame onto some insecticide which explodes into Forrester's face as Bert arrives to take them both in for questioning. The travellers return to the Tardis which dematerialises and they return to their correct height and Barbara recovers. Planet of Giants 3 has a somewhat odd history. Originally Planet of Giants was meant to be a FOUR part story, with the first three episodes (Planet of Giants, Dangerous Journey & Crisis) directed by the experienced Mervyn Pinfield while the fourth (Urge to Live) was a directing début for Douglas Camfield. However when Head of Drama Sydney Newman viewed them he found them too slow and ordered them spliced together to make a faster paced episode. 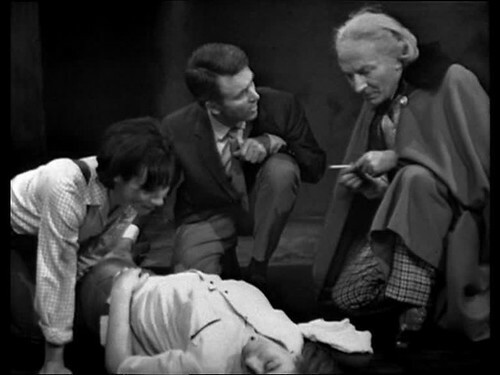 Because this episode of Doctor Who required much editing to put it together it was transmitted from film, at the time a more easily edited media, rather than the usual videotape. As such this episode wasn't subjected to the vidfire technique when released on video. Pinfield receives no credit on the finished episode. but since the original versions no longer exist and the scripts aren't in the public domain it's hard to say what material in the broadcast version is from which of the two produced episodes. Since then however the DVD version of the story has been released which contains an attempt to rebuild the missing two episodes by fan Ian Levine using repeated footage and a small ammount of new CGI alongside a Soundtrack with the new sections recorded by mostly different actors. The exceptions are Carol Ann Ford, Susan, and William Russel, Ian, who reprise their original roles. We find that the original versions of Crisis & Urge to Live contained a lot more of Hilda and Bert plus an excised subplot involving the cat, which we saw in previous episodes, being poisoned by the DN6. The break between episodes 3 & 4 comes when Barbara is overcome and lying on the floor just after Susan says "Grandfather, we can do something, can't we?". That line is found at 12:23 of 26:35 in the broadcast version meaning that just over half of the broadcast episode 3 is Douglas Camfield's work. If you read the synopsis above it's at the point where the story is broken by the photo, which in turn is of the scene where the episode break occurs. Although it fills in some gaps and flows better there are some problems: too many repeated visual shots, notably of Smyther's face and a close up of Forrester (which I suspect isn't the original Forrester and might be a certain member of the new version's production team) and the new voices don't match the ones from the material taken from the broadcast episode 3 Crisis too well. Reaction at the time was mixed and I wasn't looking forward to watching it now, not having seen it before, but I enjoyed it and felt it added something to the story. I think the miniturisation aspect could be handled a lot better now with more movement from giant insects and the like but the basic idea is sound. If I was redoing the story now Hilda and the switchboard would have to go but I'd also tweak the plot so that there's an imminent danger of the DN6 escaping into the water supply to give a bit of a more imeadiate larger threat. At 26m35s Crisis is the longest episode of Doctor Who broadcast to date, just beating Marco Polo 2: The Singing Sands. I thought the early Hartnell episodes tended towards 22/23 minutes a piece but quick trawl through the timings reveals that several episodes in the first season topped the 25 minutes slot allocated for the program. 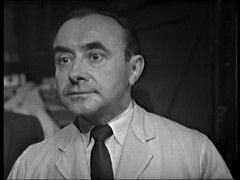 This then created a one episode gap in the number of required episodes, a problem that was solved by creating a one episode prelude to The Dalek's Masterplan, Mission to the Unknown, which was filmed without the regular cast at the end of the second recording block using the same crew as Galaxy Four. As we've previously mentioned this episode marks the directorial début of Douglas Camfield, previously production assistant for Waris Hussein on An Unearthly Child & Marco Polo. He would go on to direct (deep breath) The Crusade, The Time Meddler, The Dalek Masterplan, The Web of Fear, The Invasion, Inferno (or most of it - he suffered a heart attack while working on this story), Terror of the Zygons and Seeds of Doom. He worked on many series outside of Doctor Who including The Sweeney, The Professionals & the BBC Classic series, headed by Barry Letts & Terrance Dicks. He died on 27th January 1984 from another heart attack. And here we bid adieu to the Video recorder. It will be back before the Hartnell era is out for the Gunfighters & The Tenth Planet. But apart from 2 episodes on CD we'll be spending the rest of Season 2 on DVD. Planet of Giants was the last of the William Hartnell stories to be novelised, finally appearing in print in 1990 over 25 years since it's original transmission and was the penultimate novelisation written by Terrance Dicks. 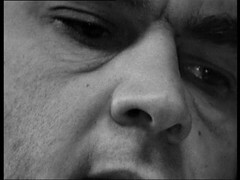 The story was released on VHS on 14 Jan 2002, after the DVD range had started, and features the début of the Vidfire process. Planet of Giants was released on DVD on 20 August 2012.